Tag Archive | "Dwight Poulson"
We received our first snowman of the season from the Poulson family, of Solon Township. 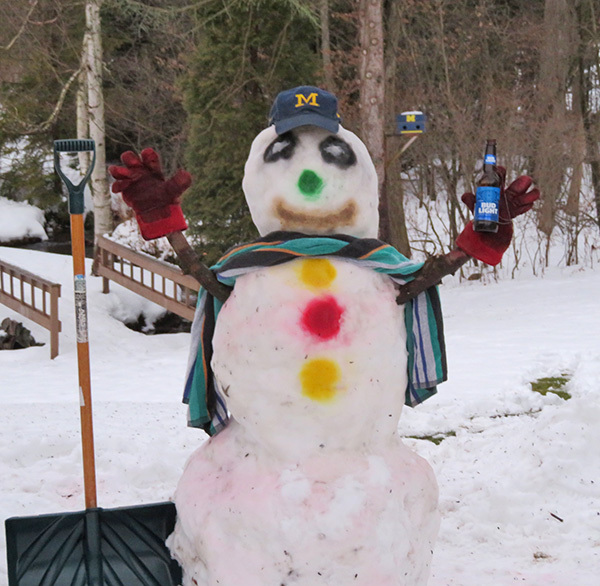 Grandpa Dwight Poulson recently built this snowman for his grandkids from Jacksonville, Florida who will be here for Christmas and have never seen a Michigan snowman before. And he definitely looks like a Michigan fan! We hope Bud the snowman didn’t lose too much weight the last couple of the days with the warmer weather. Good job, Grandpa! Send us your snowman or winter fun photos and include some info about the picture. You can email them to news@cedarspringspost.com and put “winter fun” in the subject line.